The Rockin’ Hollywoods present “Solid Gold Rock N Roll” from the 1950’s thru 1980’s eras with an energy and excitement that captives audiences of all ages. Formed in 1973, the utilizes period costuming, very physical choreography and staging, with great vocals and musicianship, gaining them critical and popular praise. 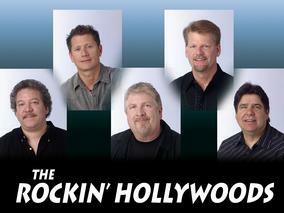 The Rockin’ Hollywoods were voted Best Performing Artist for 1987 in the Minnesota Music Awards. The Minnesota Ballroom Operators Association voted them Band of the Year for 1986 and 1989. The band has been nominated virtually every year since 976 by the MBOA, and nominated in 1986 and 1988 by the prestigious Minnesota Music Awards Academy. 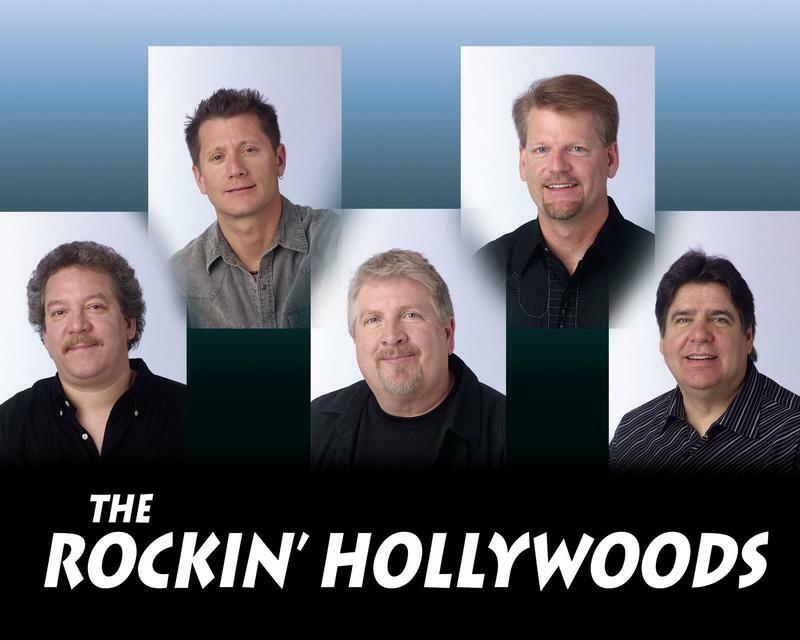 The Rockin’ Hollywoods have drawn praise from the Beach Boys whom they opened for in 1990 and 1985, and worked with other greats such as Rick Nelson, Bo Diddley, Del Shannon, Gary Puckett, Four Tops, Neil Sedaka and many others. Their second album “Greaseland” was released in June of 1988. Produced by veteran songwriter, musician, James Walsh of the “Gypsy Band” the LP is a great collection of well known and a obscure songs as well. A third album, released in 1990, “Danceland” is also available.